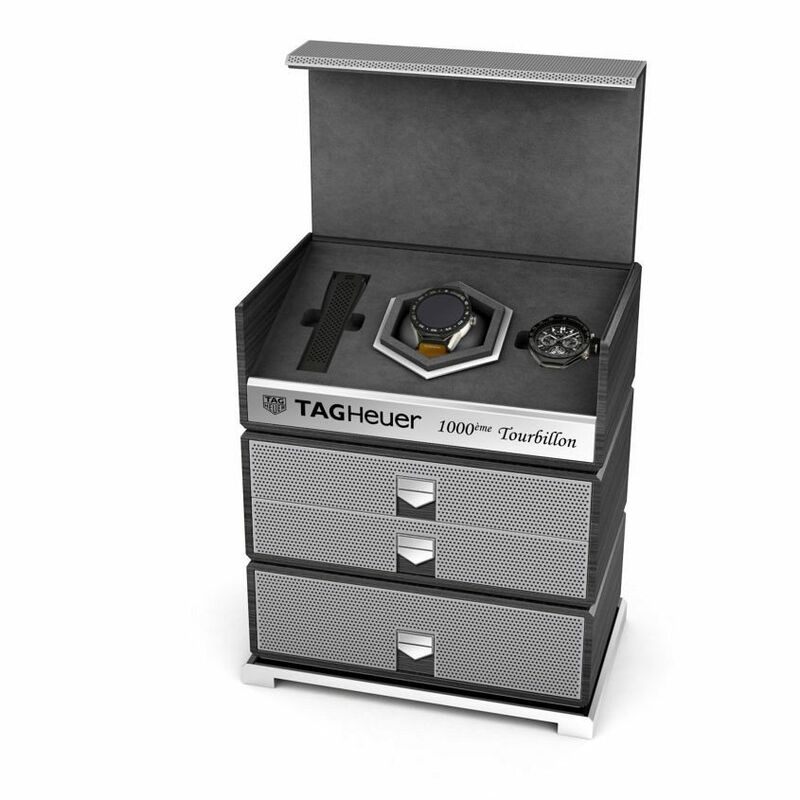 TAG Heuer has just announced the “first luxury connected watch bearing the Swiss made label” and a new concept that allows you to change the smart watch module (the whole case, in other words) for a mechanical module; either a time-only automatic Calibre 5 or a COSC-certified chronograph Tourbillon Heuer 02-T. The concept of modularity also extends to the lugs, strap and buckle, all of which can be interchanged with a simple click. 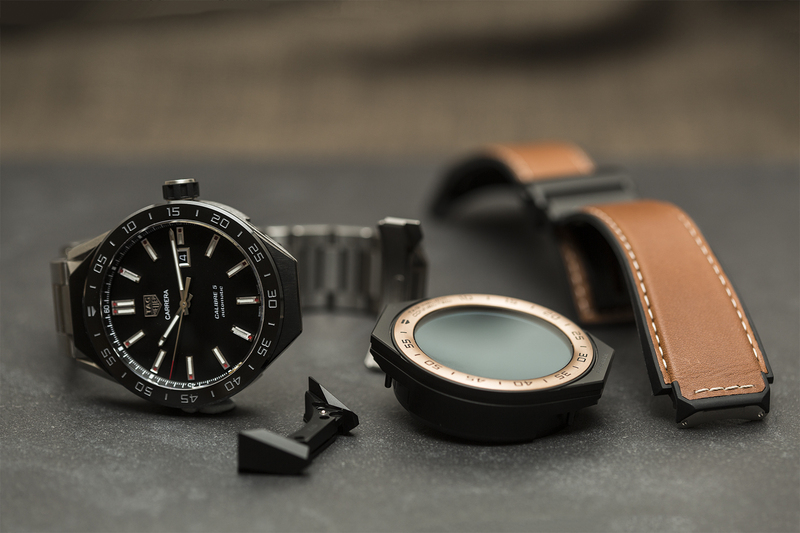 Engineered in collaboration with Intel, the Connected Modular 45 is water-resistant to 50m, features GPS, an NFC sensor for payments, and a high definition AMOLED screen, as well as a wide selection of unlimited, customisable TAG Heuer dials. The components have been constructed from a range of quality materials, such as satin or polished grade 5 titanium, black ceramic and 18k rose gold. The smart watch module is powered by an Intel Atom processor Z34XX series and operates on Android Wear 2.0. 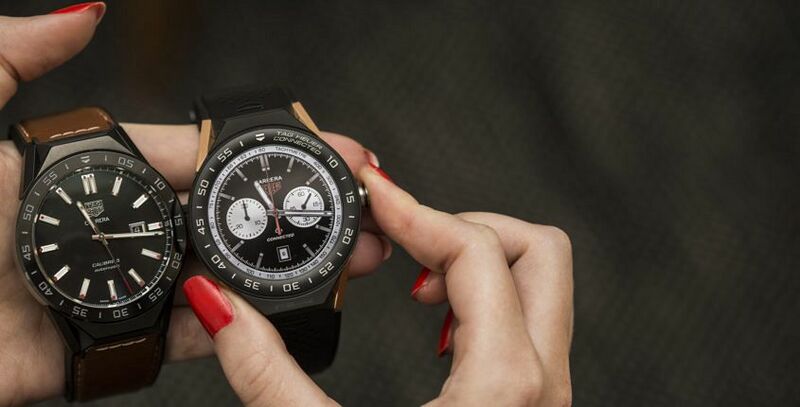 It has 4GB of storage memory and a lithium battery which is good for a full day of power and is fitted with a small water-resistant microphone enabling the wearer to communicate with it using Google Assistant, as well as a sapphire crystal touchscreen, to be used alongside the command crown at 3 o’clock. As of right now, the watch is on sale in TAG Heuer boutiques (not in middle-of-the-night-Australia, obviously), from a selection of retailers, and available for delivery via the brand’s online store. I was asked to join a range of interesting (slash inspiring) people both in Australia and around the world to put the brand new TAG Heuer Connected Modular 45 watch through the paces of ‘a day in my life’. I took the brief quite literally, starting at the break of dawn with the dog (Baxter), travelling through a work day at T+T HQ in Melbourne and finishing where all good days do – at the bar, with an Old Fashioned and with Felix. Over the journey, the watch morphs from a fitness tracker to a personal assistant to a traditional mechanical watch.